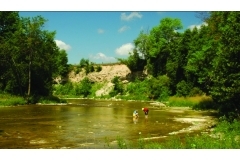 The Saugeen Valley Trail runs along the Saugeen River in Mount Forest. 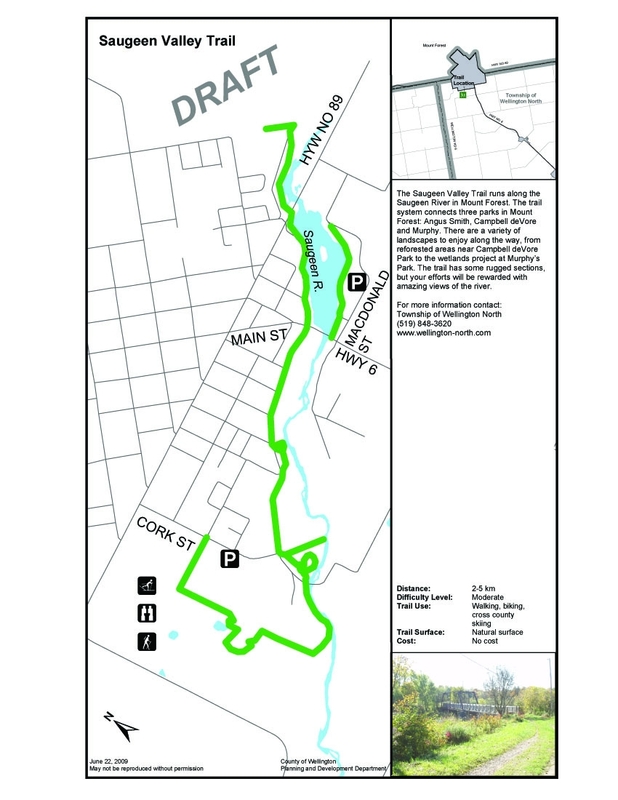 The trail system connects three parks in Mount Forest. There are a variety of landscapes to enjoy along the way, from reforested areas near Cambell deVore Park to the wetlands project at Murphy's Park. The trail has some rugged sections, but your efforts will be rewarded with amazing views of the river.See below link below for map and further discriptions.